This is your best opportunity to get acquainted with SPSV and what we’re all about. Nearly all of campus is open for this dynamic afternoon, which gives prospective students and their families a good feel for the SPSV experience and all that we offer. Current students conduct tours, faculty members discuss academics, coaches and athletes are on hand to talk about their sports, and a lively club fair shares a glimpse of dozens of clubs and groups that keep campus so interesting! One-on-one tours help you get a close-up look at campus facilities, with the chance to ask more questions and see any specific areas that may be of individual interest to your family. You may schedule a tour during Open House or through our Admissions Department. 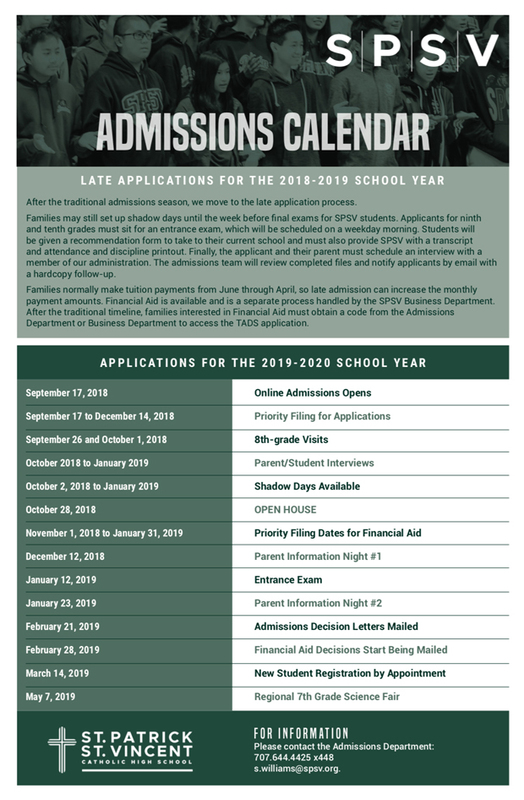 In December and January, we host Parent Information Nights to give families more information about our mission, values, and the kind of education your children will receive at SPSV. Administrators and faculty members will speak and respond to questions. For the student only, an SPSV Shadow Day is intended to supplement Open House, 8th grade visits, and campus tours. A Shadow Day is an opportunity to experience a typical student’s day at SPSV, including time in the classroom. Each student will accompany a current freshman—attending classes, meeting teachers and students, and having lunch, which we provide in our cafeteria. Attending from 9:00am through 12:45pm, your student will go to two or three classes and half of lunch period. To schedule a Shadow Day, please contact p.delgado@spsv.org or 707.644.4425 x435. 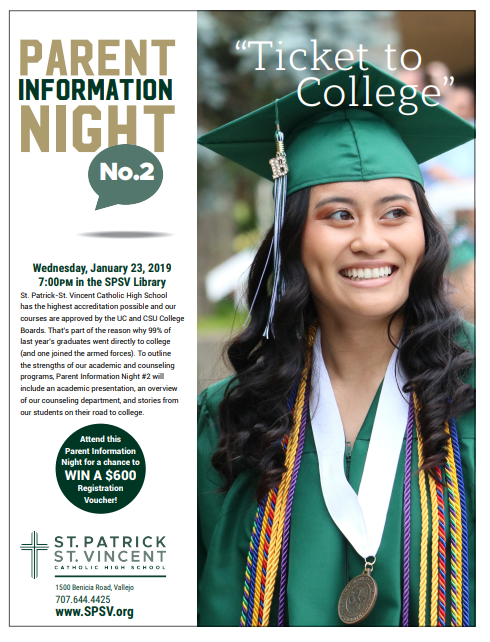 All applicants from South Korea and China must apply to St. Patrick-St. Vincent Catholic High School through The Cambridge Institute of International Education. Begin the application process by completing the CIIE Network Application below. 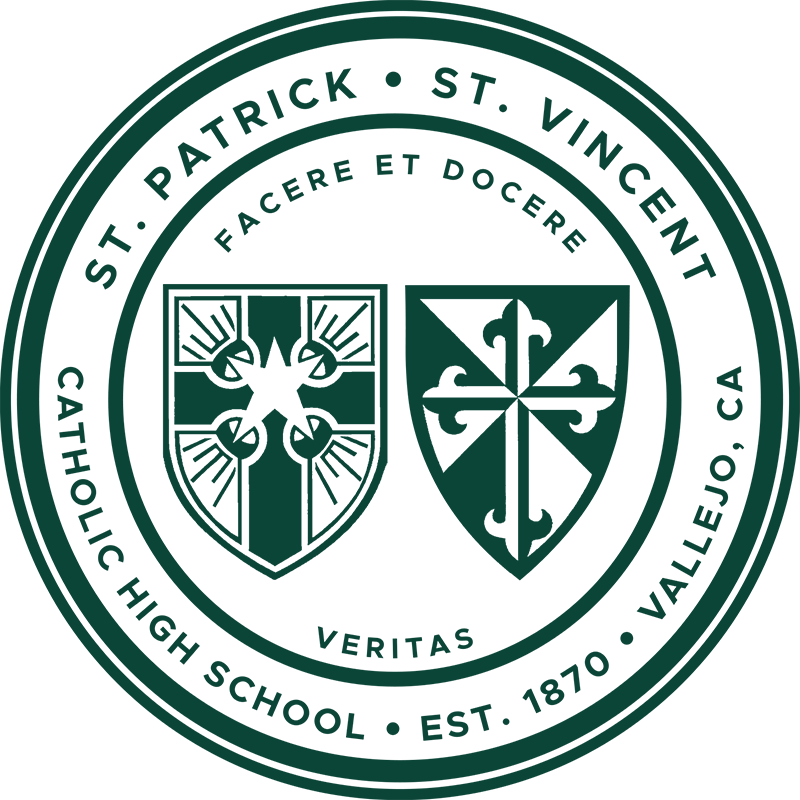 For questions about St. Patrick-St. Vincent Catholic High School's international program, please contact Ms. Sheila Williams. International applicants from countries other than South Korea and China should contact the admissions director Ms. Sheila Williams.